Cabo Eagle Divers - Scuba Diving & Snorkeling in Cabo San Lucas! Welcome to Cabo Eagle Divers! Scuba Diving & Snorkeling in Cabo San Lucas, Baja California, Mexico. Cabo San Lucas is located at the south tip of the peninsula of Baja California in the Sea of Cortez, also famous for its cliffs sculpted by waves over the centuries, basically the famous arch which resembles an entrance from the Pacific to the Sea of Cortez. It is one of the tourist destinations with the largest growth and development in Mexico. 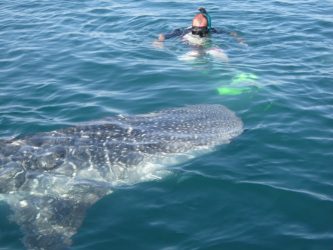 Buceo en Cabo San Lucas, cursos de buceo, buceo con tiburones y mantas. Cabo Scuba Diving coupons. Save Money!